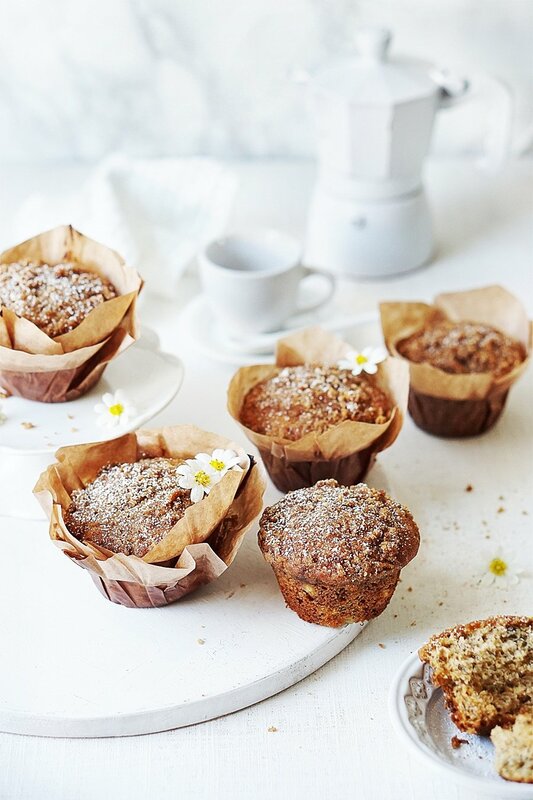 Banana Crumb Muffins or should I say, Banana Crumb Cupcakes? 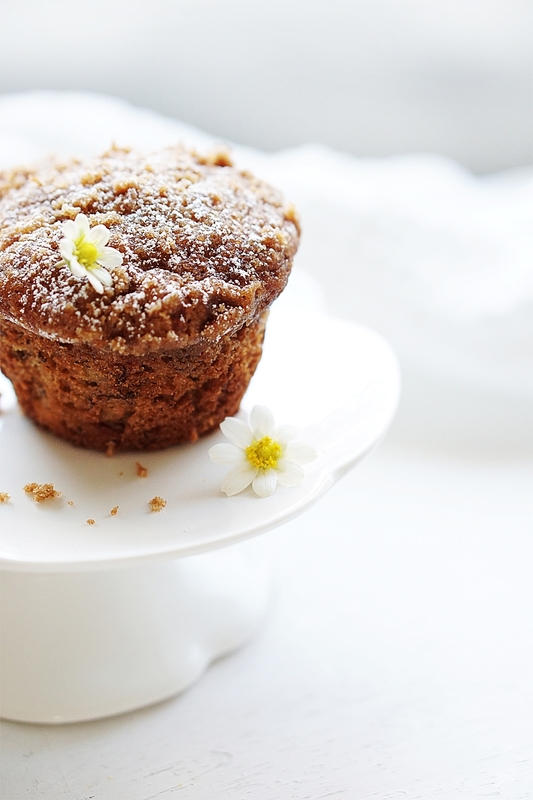 They’re truly a muffin but they’re so light and fluffy it resembles a cupcake more than a muffin. 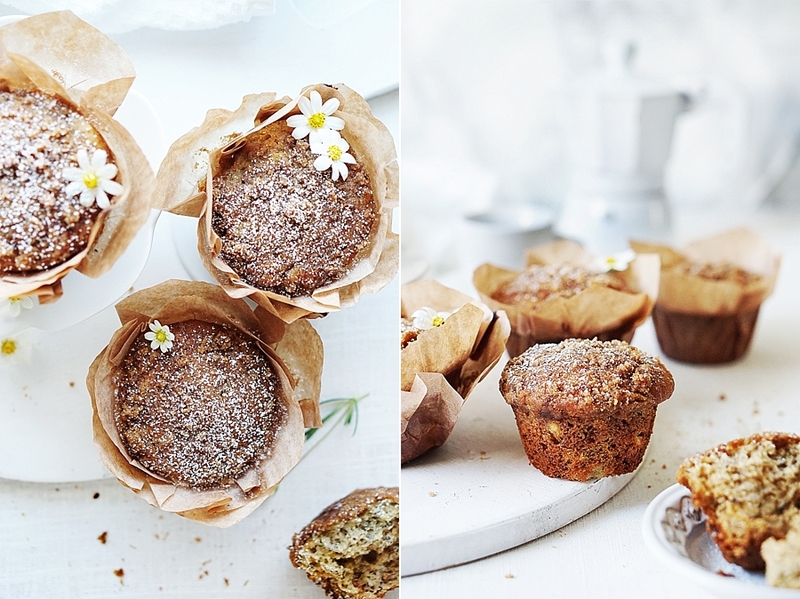 I can already tell these muffins will be part of the regular menu in my house! 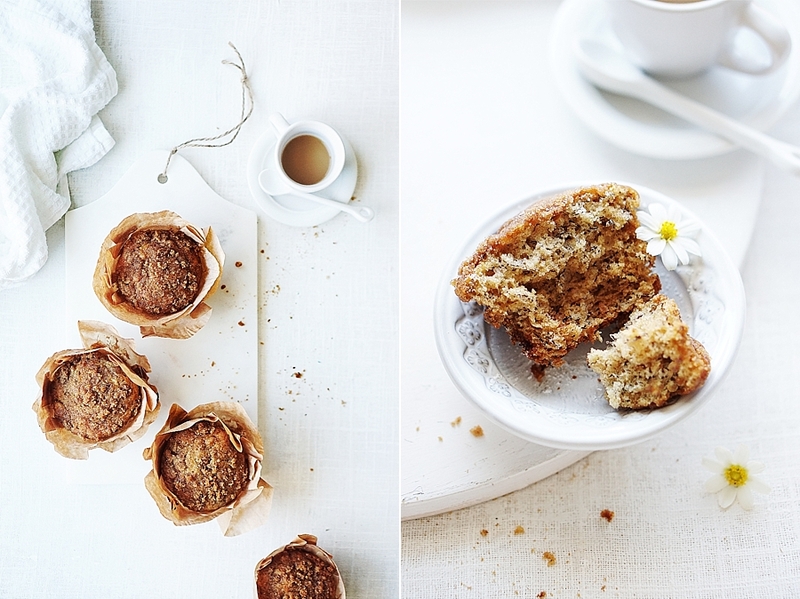 I can’t believe I’m sharing a recipe back to back on the blog! Since it was a long weekend and had an extra day off, I took advantage of it and decided to bake these delicious muffins. They are so amazing I decided to put them on the blog since I like to come back to the blog as a reference for my favorite things to eat plus I had to share them with you as well. Like they say, sharing is caring! 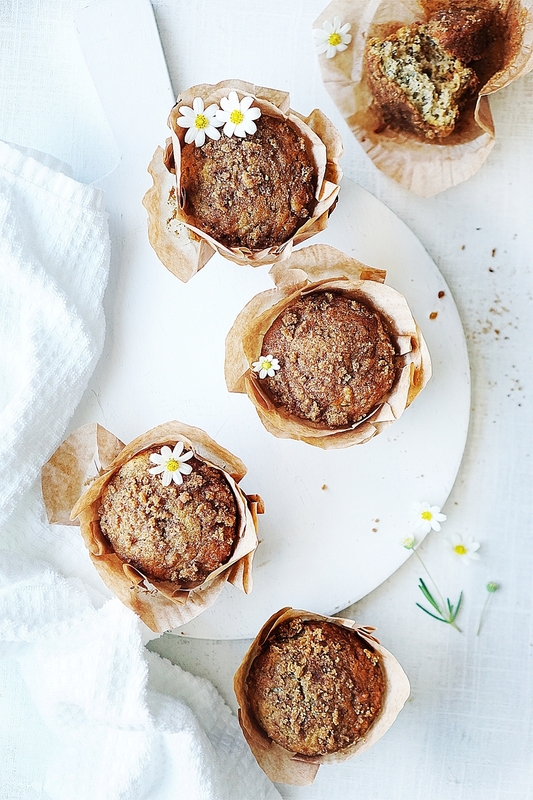 Aren’t these muffins pretty too? I sprinkled some powdered sugar for the photos but you don’t have to if you don’t want to…but they actually so taste good as well! I found this recipe on Allrecipes.com and the reviews were amazing so I decided to go for it… so glad I did! I followed some of the comment’s suggestions and replaced the butter with canola oil plus added cinnamon & vanilla to the batter. I can’t imagine they would have turned out better without those changes. If you decide to make them, I recommend you follow those suggestions as well! Preheat oven to 375 degrees F. Line a 12-cup standard muffin tin with paper liners or coat with nonstick spray; set aside. To make the crumb topping, combine sugar, flour, and cinnamon, Cut in 1 tablespoon butter until mixture resembles coarse cornmeal. Set aside. In a large bowl, mix together 1 1/2 cups flour, baking soda, baking powder, cinnamon and salt. In another bowl, beat together bananas, sugar, egg and canola oil. Stir the banana mixture into the flour mixture just until moistened. 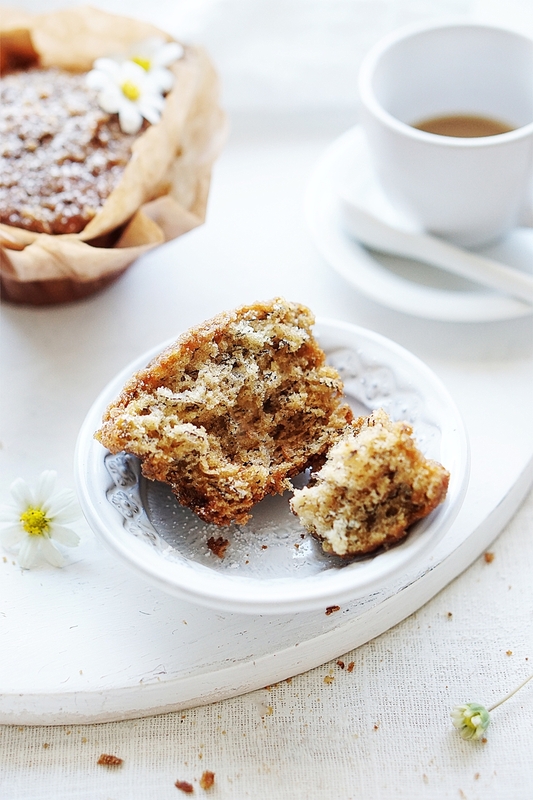 Scoop the batter evenly into the muffin tray. Sprinkle with reserved crumb topping, using your fingertips to gently press the crumbs into the batter.